When we last left our hero, he was completing the seasonings for the Centerpiece of Monday's Independence Day celebration. That is, a six pound beef brisket. This afternoon, the cut of meat was "rubbed" with the dry seasonings (the sweet Virginia fire). In the foto, the brisket is already wrapped in the wrap to allow the seasoning to work its way into the cow. Rubbing the cut was a bit strange, as it felt as though one was giving a backrub to a corpse. 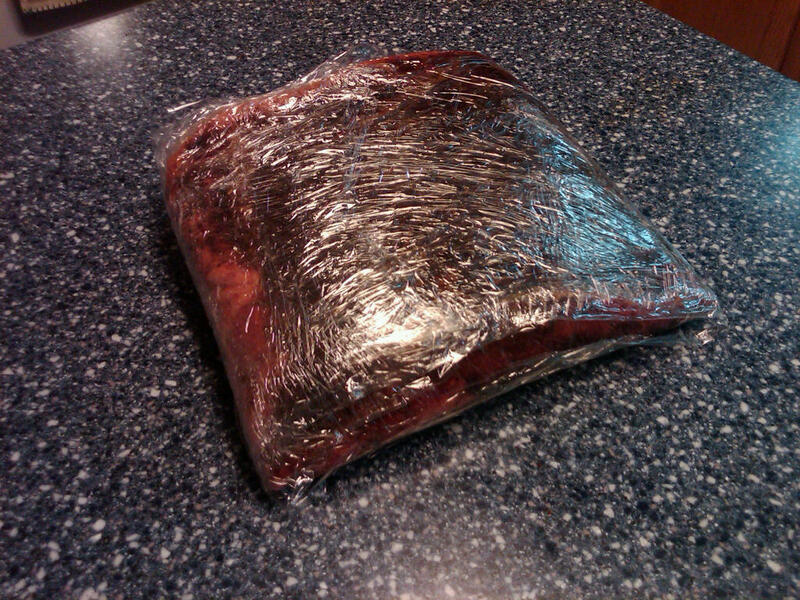 Anyhoo, the cut is now resting in the refrigerator and will move on into the smoker tomorrow. From there, it'll become acquainted with the mopping sauce.